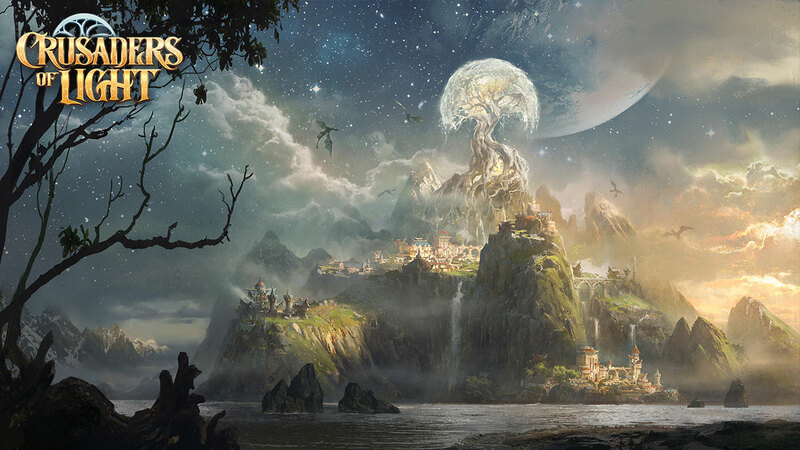 NetEase, Inc. (NASDAQ: NTES) today announced the global launch of its fully-fledged MMORPG, Crusaders of Light, for Android devices via Google Play and on PC via Facebook Gameroom. Crusaders of Light, also available on the App Store for iOS, gives players an authentic MMORPG experience on mobile, and with its launch on Facebook Gameroom, players can take their accounts cross-platform for seamless play between their mobile device and PC. Discover a gorgeous 3D fantasy world, a series of challenging dungeons, new friendships forged in the guild system, and, for the first time ever on mobile, 40-person raids – available now as a free download. Players can now take the traditional MMO experience on the go, enjoy the game full-screen with a keyboard on a PC and continue questing using their same account whether at home or away. In addition to being able to play with friends who have different hardware, they can switch to PC via Gameroom to better enjoy the stunning graphics, or when tackle more complex content, like large team raids or PvP battles. Download the game today from the App Store, Google Play, or Facebook Gameroom by visiting: http://crusadersoflight.link/downloadnow. Check out some of the in-game action in the launch trailer here: http://crusadersoflight.link/quicktrailer. To celebrate the launch, NetEase has kicked-off the Fastest Dungeon Raid Competition, an in-game competition that will award one 40-person team a cash prize pool of up to $400,000 — $10,000 per eligible player. Set in Heroic Mode of Crusaders of Light’s Fort Desolation Dungeon, the 40-person team that defeats the dungeon and its two bosses with the fastest time within the competition period will take home the big prize. More information can be found at http://crusadersoflight.com. See here for official competition rules.